Illegally nets from a Ukrainian fishing boat have killed nearly 50 porpoises off the Crimean coast. 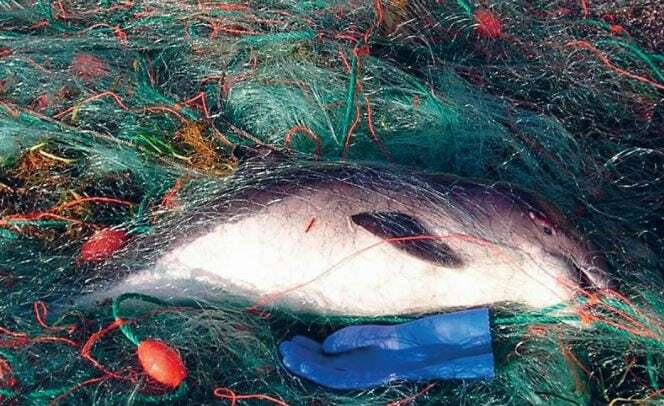 The porpoises died after becoming entangled in almost six miles of nets and investigators believe that were deliberately targeted for illegal export. The crew of the trawler named YaMK-0041 was detained and the captain faces up to five years in jail if convicted of poaching. Parts of dolphin and porpoise are highly sought after as so-called cures in Chinese medicine, with a single dolphin bladder fetching more than $100,000. Another 12 miles of nets from the same vessel that could have killed more marine mammals were left in Ukrainian territorial waters, according to Russian security forces.